Best selection and great deals on Leather Lid Inserts items. Dennis Kirk carries more Leather Lid Inserts items than any other aftermarket vendor and we have them all at the lowest guaranteed prices. Not only that, but we have them all in-stock and ready to ship today. 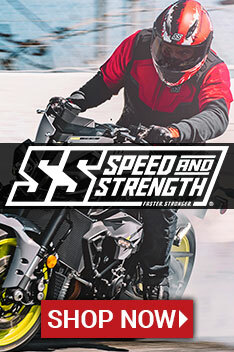 Dennis Kirk has been the leader in the powersports industry since 1969, so you can rest assured that we have your back when it comes to bringing you the best from Leather Lid Inserts. You’ll enjoy our no-hassle return policy and all orders over $89 receive free shipping, so you can shop with complete confidence at Dennis Kirk!